If you plan on opening an acupuncture and chiropractor practice, step one is learning as much as you can about the business. We share some pragmatic recommendations on what it takes to start an acupuncture and chiropractor practice. We are here to help you start an acupunture or chiropractic practice! The demand for acupuncture and chiropractic services is steady, with the possibility of significant growth in the coming years due to the aging of the U.S. population. Once considered to be pseudo-medical alternatives, acupuncture and chiropractic have become accepted methods for dealing with joint misalignment, back issues, chronic pain and other bodily ailments. Yet despite the rosy outlook for startup acupuncture and chiropractic practices, entrepreneurs seeking to gain traction in the industry must present themselves as true professionals since both industry insiders and patients are sensitive to the potential for abuse. That means your startup process will need to include the creation of an employee handbook with policies, procedures and protocols that conform to professional standards and ensure a high level of patient care. Acupuncture and chiropractic entrepreneurs typically play dual roles as practitioners and small business owners. From a business and patient care perspective, there are several best practices that must be incorporated into your startup practice. Certification. Certifications communicate expertise to your patients. More importantly, most states require certifications for chiropractic and/or acupuncture professionals. Before you can seriously contemplate launching a startup, your practitioners will need to receive certification from the National Board of Chiropractic Examiners (NBCE)or the National Certification Commission for Acupuncture and Oriental Medicine (NCCAOM). Front Office. Like any medical practice, it's critical to have a well-oiled front office capable of handling patient reception, billing and other responsibilities. By staffing the right mix of administrative professionals, you can offload your practice's more mundane responsibilities, freeing you up to concentrate on patient care and business growth. Cost Management. One of the most lethal mistakes startup acupuncturists and chiropractors make is to spend money on equipment and services they don't really need in anticipation of income they haven't yet earned. Cost management must be an integral part of your startup approach -- and the way it's accomplished is by creating a business budget that is based on reality rather than best case scenarios. The mandatory components of an acupuncture and chiropractor practice business plan include an executive summary, mission statement, strategic overview, financial plan, marketing plan and timetable. Without these elements, your plan will have limited use to lenders, investors and other stakeholders.. But in today's business environment, it's also important to discuss the external factors your acupuncture and chiropractor practice is facing. As a rule, we recommend including a PEST (Political, Economic, Social & Technological) analysis in your business plan as a way of addressing potential threats and opportunities at the macro level. Prior to launching an acupuncture and chiropractor practice in your town, it's a good idea to determine what the competition looks like. We've provided the link below to help you find competitors nearby. After following the link, enter your city, state and zip code to get a list of acupuncture and chiropractor practices in your area. After you've evaluated your local competitors, it's essential that you have a conversation with someone who is in the business. If you think your local competitors will give you advice, you're being overoptimistic. What's in it for them? But, a person who owns an acupuncture and chiropractor practice on the other side of the country may be willing to share their entrepreneurial wisdom with you, after they realize you reside far away from them and won't be stealing their local customers. In fact, they are often very willing to share startup advice with you. Our estimate is that you may have to contact many business owners to find one who is willing to share his wisdom with you. Where can an aspiring entrepreneur like you find an owner of an acupuncture and chiropractor practice that lives outside of your area? Many entrepreneurs elect to acquire a profitable acupuncture and chiropractor practice instead of navigating the challenges of a business startup. But before you can seal the deal on an acupuncture and chiropractor practice purchase, you're going to need financing. The good news is that it's easier to finance an existing company than it is to finance a startup business. However, there is still some distance that needs to be traveled before you can secure enough funding to put your name on the letterhead. If you want to increase your chances of business success, you should consider whether it makes sense to franchise instead of doing everything yourself. If you planning on starting an acupuncture and chiropractor practice, a smart move is to determine whether purchasing a franchise might help you avoid common entrepreneurial mistakes. Any comments, questions or suggestions to share regarding launching an acupuncture and chiropractor practice? Sharing your thoughts will help the hundreds of thousands of small business owners who visit this site looking for advice. Already Own an Acupuncture and Chiropractor Practice? 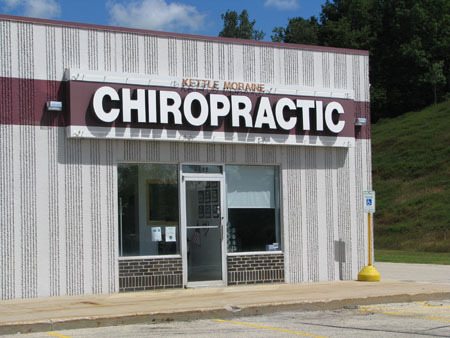 Do You Sell to Acupuncture and Chiropractor Practices?